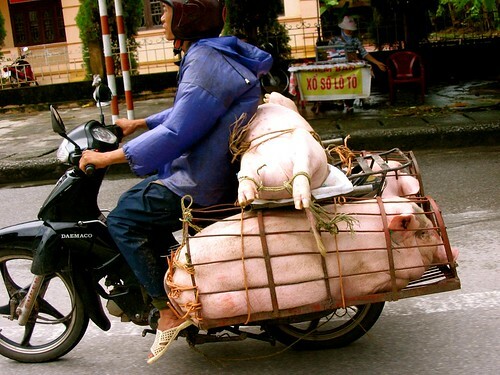 green tea: Pigs on Wheels! 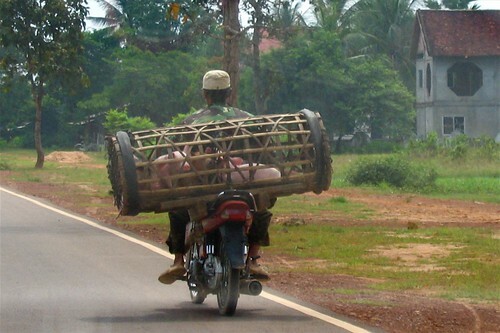 A common sight in Southeast Asia: the big pigs at the top were in Vietnam and the piglets on the bottom were in Cambodia. All these piggies were alive and kicking as they went to market. Better photos of this phenomenon from other travelers are here and here. Maybe now you will become veg?